This privacy statement discloses the privacy practices for Dive Adventures. 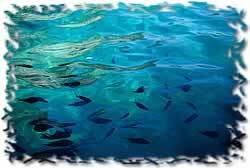 Company Dive Adventures is the sole owner of the information collected on this site. We will not sell, share, or rent this information to others in ways different from what is disclosed in this statement. Company Dive Adventures collects information from our users at several different points on our website. A cookie is a piece of data stored on the user's hard drive containing information about the user. Usage of a cookie is in no way linked to any personally identifiable information while on our site. Once the user closes their browser, the cookie simply terminates. For instance, by setting a cookie on our site, the user would not have to log in a password more than once, thereby saving time while on our site. If a user rejects the cookie, they may still use our site. The only drawback to this is that the user may be limited in some areas of our site. We may use outside postal and shipping companies to ship orders, and a credit card processing company to bill users for goods and services. These companies do not retain, share, store or use personally identifiable information for any secondary purposes. We partner with another party to provide specific services. When the user signs up for these services, we will share names, or other contact information that is necessary for the third party to provide these services.These parties are not allowed to use personally identifiable information except for the purpose of providing these services. This web site contains links to other sites. Please be aware that we Dive Adventures are not responsible for the privacy practices of such other sites. We encourage our users to be aware when they leave our site and to read the privacy statements of each and every web site that collects personally identifiable information. This privacy statement applies solely to information collected by this Web site. From time-to-time our site requests information from users via surveys or contests. Participation in these surveys or contests is completely voluntary and the user therefore has a choice whether or not to disclose this information. Information requested may include contact information (such as name and shipping address), and demographic information (such as zip code, certification level). Contact information will be used to notify the winners and award prizes. Survey information will be used for purposes of monitoring or improving the use and satisfaction of this site. If a user elects to use our referral service for informing a friend about our site, we ask them for the friend's name and email address. Dive Adventures will automatically send the friend a one-time email inviting them to visit the site. Dive Adventures stores this information for the sole purpose of sending this one-time email. The friend may contact Dive Adventures at info@diveadventures.net to request the removal of this information from their database.